Boating Holidays on the Rivers, Canals, Lakes and Lochs of Europe. Canada is a land of diversity, a land where nature and culture collide in an exciting, eclectic and exhilarating mix to form a uniquely Canadian experience! Get a taste of the spellbinding nature and pulsating culture that make Canada so special with a cruise down the Rideau Canal. A UNESCO World Heritage Site, the Rideau links Canada’s capital Ottawa with the enchanting city of Kingston, taking in majestic lakes and quaint towns along the way. So discover your own frontier spirit and discover the Rideau Canal with Le Boat.Canada is a land of diversity, a land where nature and culture collide in an exciting, eclectic and exhilarating mix to form a uniquely Canadian experience! Get a taste of the spellbinding nature and pulsating culture that make Canada so special with a cruise down the Rideau Canal. A UNESCO World Heritage Site, the Rideau links Canada’s capital Ottawa with the enchanting city of Kingston, taking in majestic lakes and quaint towns along the way. 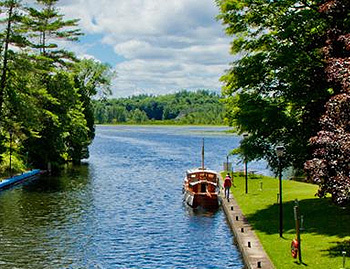 So discover your own frontier spirit and discover the Rideau Canal with Le Boat.